For Sale MLS# 07838825 $365,000. LAKE FRONT HOME WITH STUNNING VIEWS FROM EVERY WINDOW. THIS IS A SINGLE FAMILY "STAND ALONE" HOME PERCHED ABOVE A PRIVATE LAKE WITH A WOODED LOT. BOTH THE HOME'S EXTERIOR AND THE LOT ARE MAINTAINED BY THE ASSOCIATION. 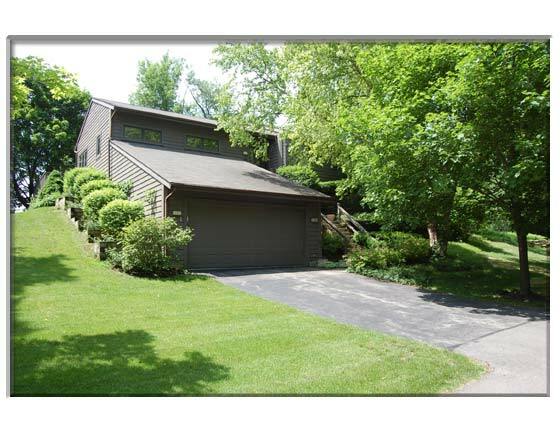 HOME IS OPEN AND AIRY, MASTER WITH PRIVATE BATH AND ACCESS TO DECK OVERLOOKING LAKE, HW, VAULTED CEILINGS, 2 FP,HUGE DECK ON MAIN LEVEL AND FINISHED WALKOUT WITH PRIVATE PATIO, 1 MI FROM TOWN AMAZING! Plus 56 Acres of Woods, Creek, Lake and Trails For Use By Wildrose Springs Residents. Simple Lease or Rent with option to buy. Pets Allowed with extra pet deposit.